Researchers say they have uncovered some mysterious secrets about Jupiter’s origin and how it migrated toward the middle of our solar system. Led by researchers from Lund University, the team started with a widely-held theory about gas giants. The theory suggests the gas planets form far away from their host star and migrate over time to orbit closer to the star. The researchers wanted to determine why that appears to happen. They published the results of their study in arXiV. They focused on the early days of the solar system, which they believe to be approximately 4.5 billion years ago. 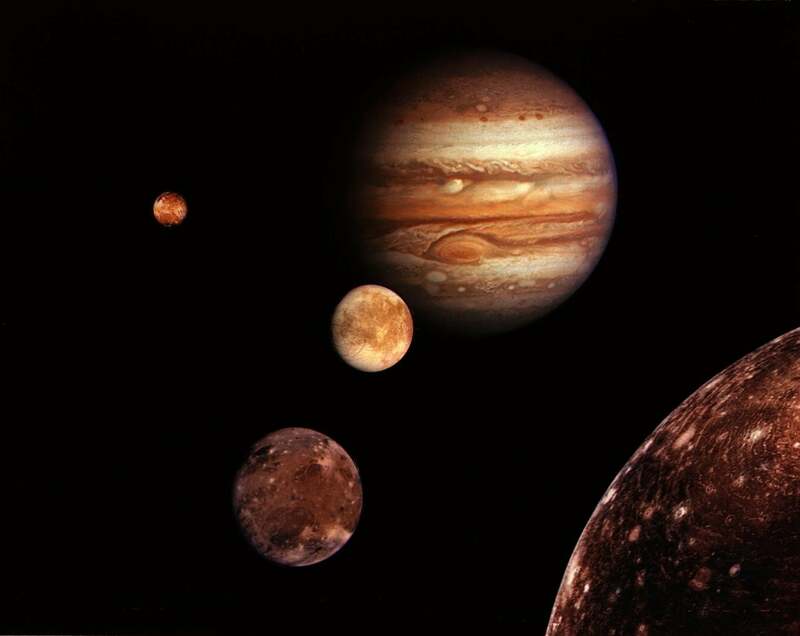 At that time, Jupiter was just formed, and they believe it wasn’t much larger than Earth at the time. “This is the first time we have proof that Jupiter was formed a long way from the sun and then migrated to its current orbit. We found evidence of the migration in the Trojan asteroids orbiting close to Jupiter,” lead author and Lund University doctoral student Simona Pirani said in a statement. The Trojan asteroids consist of two groups of thousands of asteroids orbiting at roughly the same distance from the sun as Jupiter and in front of and behind the planet. Researchers believe that there are 50% more Trojans in front of Jupiter than behind it. They believe this difference reveals the secrets of Jupiter’s origin. “The asymmetry has always been a mystery in the solar system,” Lund University astronomy professor Anders Johansen said. Researchers have been unable to explain why there aren’t roughly the same number of asteroids on both sides of the planet. However, thanks to their computer simulations, the team was able to calculate the asymmetry. They now believe it occurred because Jupiter formed four times farther from the sun than its current orbit and eventually migrated to the position where it is now. The researchers say this caused the gas giant to attract more asteroids in front than behind. They say their calculations suggest the migration lasted about 700 000 years and occurred about 2 million to 3 million years after the planet started to form. The researchers also say their simulation suggests the Trojan asteroids approached the planet when it didn’t really have the gas atmosphere that it has now, which suggests the asteroids have a similar composition to the building blocks that worked to forming the planet’s core, revealing even more about its origin. “We can learn a lot about Jupiter’s core and formation from studying the Trojans,” Johansen said. Researchers say this study doesn’t just reveal the secrets of Jupiter’s origin but also sheds light on the possible migration of other gas giants, such as Saturn, and the ice giants Uranus and Neptune. They believe the study suggests they could have traveled closer to the sun in the same way.